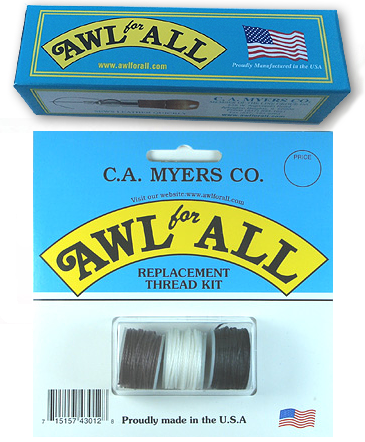 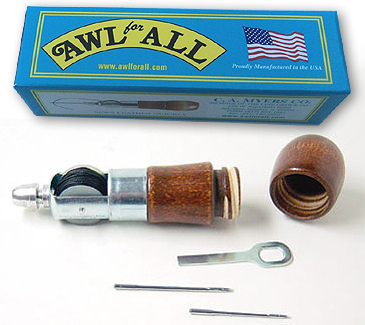 1003-Awl for All Box Kit - AWL for All from C.A. 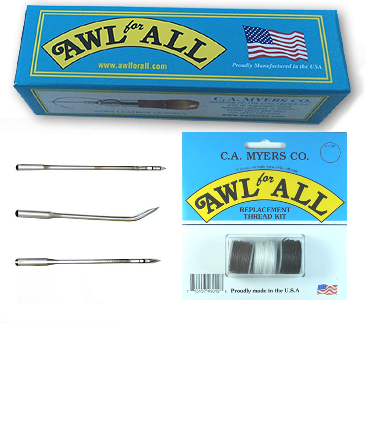 Myers Co.
Awl for All box contains one Awl For All lockstitch sewing awl, a spool of black triple strand waxed thread, a #8 coarse needle, a #5 fine needle, and a screwdriver/wrench tool. 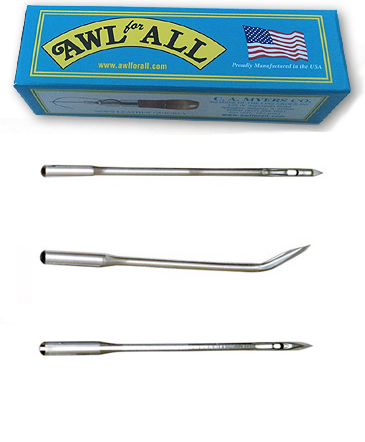 The needles and tool are conveniently stored in the handle.